The next full-lenght album from Italian The Well Of Sadness headed by Daniele Giustra, with even more mature and excellent sounds than on "I'm Uprooted From It". Twelve neofolk / neoclassical / dark orchestral songs create unique atmosphere, so specific for The Well Of Sadness. Highly recommended! This title needs no special introduction. In answer to huge demand after sold out first edition, here comes the reprint of this critically acclaimed album, with new artwork made by Michal Karcz. An original mix of styles and cultures. Oriental melodies and rhythms, live percussions and synthetic beats, ethereal sounds and electromilitary marches, gregorian and muezzin chants, symphonic and jazzy instruments. Electrocrusade back again! 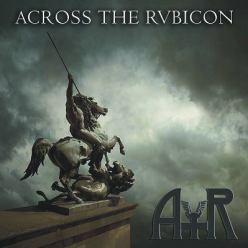 'Across the Rubicon' is a martial industrial act of Marcin Bachtiak ( Cold Fusion ) and Robert Marciniak ( Rukkanor ). While both our solo projects - Cold Fusion and Rukkanor evolve and open new spaces in our musical activity, ATR has been established to keep alive our fascination of martial industrial sounds. Currently we are working on first full-lenght album, which is expected in very beginning of 2008. Now enjoy our first demo tracks on myspace. Outofsight - "Vodka Likes Smoke"
Poor alcohol and smoky interior of a pub. The common despair shouted out in rare moments of sobriety. The terrible, absurd atmosphere of Poland in 50’s and 60’s of last century. Young people, poets, writers, painters and musicians thrown out of „happy and ideal” society created by communistic authorities.